Hearing healthcare with a heart! Adults with hearing loss were at a much higher risk for depression. Those with untreated/unaided hearing loss experience a much greater decline in critical thinking skills compared to those without. Additionally, there exists a significant correlation between untreated hearing loss and gradual loss in cognitive function. Hearing aids can reduce the effects of hearing loss by 50%. Additionally, hearing aids can reduce the effect of dementia and Alzheimer’s. Looking for hearing healthcare services that you can trust? At Miami Valley Hearing & Balance, we have the facilities and staff to serve your needs. 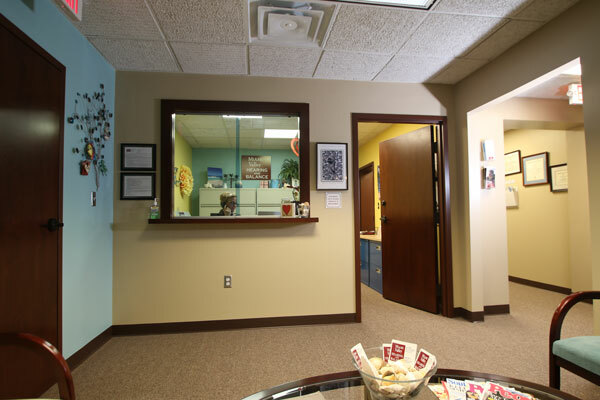 Our comfortable clinic and professional, caring staff are here for you. Miami Valley Hearing and Balance seeks to provide the highest quality of hearing heathcare services to our patients by improving each patient’s level of independence, self esteem, activity levels, and mental health that can be decreased by untreated hearing loss. We are commited to providing professional and ethical hearing healthcare. Services will be provided in a timely, caring, and pressure-free environment. All patients will be treated with dignity and respect. True to our name, you can find us throughout the Miami Valley.